The timeless elegance and beauty of pearls for an unbelievable price! 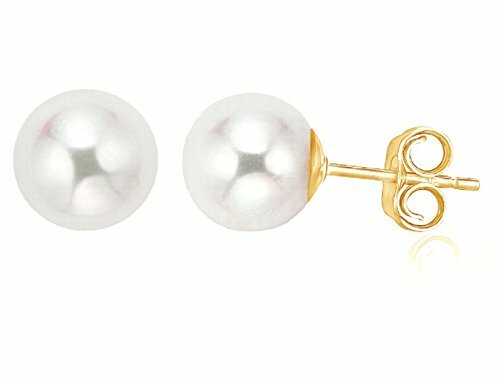 This lovely classic pair of earrings are made of luminous, round, white genuine ROUND cultured pearls AAA quality high luster on 14k gold posts. PEARLYTA is one of the leading Foundation Members of the Cultured Pearl Association of America (CPAA) on Amazon, we continue to rank high for customer satisfaction and the best shopping experience. Furthermore, Pearlyta is committed to creating pieces of premium quality with no compromise when it comes to standards. Search Pearlyta on amazon for more quality items.